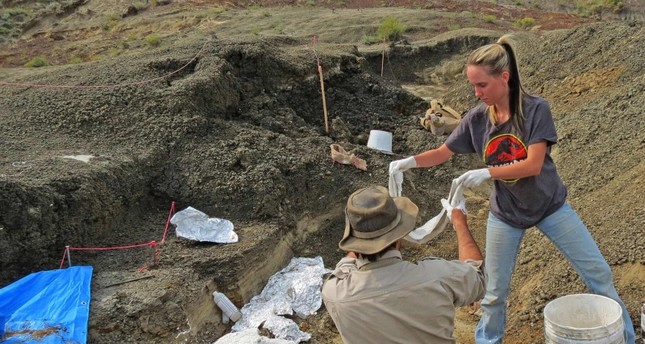 Palaeontologists generally grapple with a time frame of millions of years. But Robert DePalma believes he can explain the minutes and hours that followed one of the most cataclysmic events in the history of the Earth -- the day a meteor slammed into the coast off what is now Mexico. "You seldom get this opportunity at fine-tuning the timing of any event in geologic history," DePalma said in an interview with AFP. "It's very, very rare to get this." DePalma, a 37-year-old palaeontologist and 11 co-authors published a preliminary study of their findings on Monday in the Proceedings of the National Academy of Sciences. Over the years, he and several of his assistants discovered in a layer of sediment about 4 feet (1.3 meters) thick the fossils of fish, plants, trees and molluscs jumbled together.